Debates and discussions have been going on from decades together as to why India has still remained as an underdeveloped country, why the rupee value against dollar is consistently falling, why are the middle class people still struggling and the poor still suffering. Politics has been blamed, governments have been blamed, and the entire system has been blamed. One of the prominent reasons always blamed by majority is the black money. Politicians, people in government, people having black money are way lesser than the entire population of the country. This small knit of people cannot be alone responsible for an entire country to lag behind in development. The problem of underdevelopment is deeper and has its roots in every household of the country. Few people cannot hold the nation back from development. Majority of the Indian population is a part of this process to keep India still a developing country. Wondering how? The culture in Indian families plays a crucial role in the development of India. Development of any nation can happen when the people belonging to it are bringing out ideas and business ventures that not only satisfy the nation’s population but also bring in customers from outside the country. More profits earned by the nation’s citizens only increase the taxes collected by the same nation. The same money can be used for better development and infrastructure of the country by the government. This means that more and fresher businesses must start in the country which is nothing but pure entrepreneurship. Entrepreneurship comes with its own challenges. It takes time and money to build an idea into a financial viable systematic business model. This requires the entrepreneur to be free from any other burden apart from funding his own basic necessities of life and his idea. Unfortunately, in Indian middle class family system, parents bring up children with good education mainly to secure a good job which can yield enough income to take the responsibility of the household. With lack of financial planning, even the parents would have invested all their earnings to bring up their children with an expectation that they would take up a good job post education and take care of the financial liabilities of the family. This is a check-mate option for a person who dreams about entrepreneurship because, while setting up a business one cannot expect returns instantly that a high paying job can give though there is a higher possibility of the same business yielding multiple times the job income 5 years down the lane. This being the typical scenario in majority of the middle class and poor families of India which accounts for the majority of the Indian population, not many new ventures are springing up which can rise the economy standards of India. Rather, all the youngsters from such families are ready to work as cheap labour in jobs for the multinational companies which make more profits by earning their profits in dollars and paying these people in rupees. The pay scales offered also satisfy the family constraints of such people and hence there is no push towards entrepreneurship. As a result, the entire country is running slow in the race towards development. The entire population is holding the reigns of development of India than a mere few people in governance or business. This is where the western world races ahead in development as the family culture over there makes youngsters find their livelihood on their own by getting into part-time jobs rather than depending on parents. Adults are wise enough to plan their retirement and don’t depend on their children. 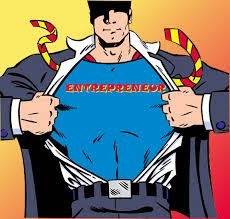 As a result, entrepreneurship finds a fertile soil to germinate seeds of ideas and harvests of profits amongst these young entrepreneurs who enjoy the freedom of experimentation along with the shoulders free of any family liabilities. Naturally, more ideas convert into business solutions which reach out to the entire world’s population bringing in foreign money into the country improving the economy standards of the western nations. Until the present generation parents realise this hidden truth, and stop blaming all the umpteen number of reasons for an underdeveloped India and provide the scope of freedom for their children to walk on the route of entrepreneurship to bring their ideas into reality, India is only going to delay its own progress and process of achieving the expected development standards. India is not the only country suffering from the issue of black money. There are so many developed countries of the world too that are facing the same issue. The roots for underdeveloped India are not superficial in the reasons seen by the bare eyes. The roots are deeper knotted in every family household of the Indian population.